The Fireside Bar and Grille is owned and operated by Peter Penna (Upper Dublin Class of 1977), Peter F. Penna (Upper Dublin Class of 1996), and family. Established in 2006, The Fireside quickly became a popular community meeting place. In only our 2nd full year in business, The Fireside was voted #1 for Family Dining for 2008 by the Montgomery County’s Readers Choice Awards. After that year, we continuously received awards year after year in several categories for everything from “best food”, to “best wings” to “best business lunch” to “best sports bar.” One of our proudest moments was when we were featured in the April 2010 article in Philly Magazine called “9 Bars in 9 Innings” that chronicled the 9 best sports bar in and around Philadelphia to catch a ballgame. Proudly, we were chosen by the author of that article as being one of these 9 places, an unsolicited honor in which we work diligently to live up to every day. We are a family run business that believes in building a strong community. We pride ourselves in supporting all our local schools and sports teams, municipalities, charities, etc. Philanthropy and reinvestment into our community is at the core of what our family and our business believe in. This is why we not only donate money, but also our time and the time of our employees to helping great causes too numerous to name here. 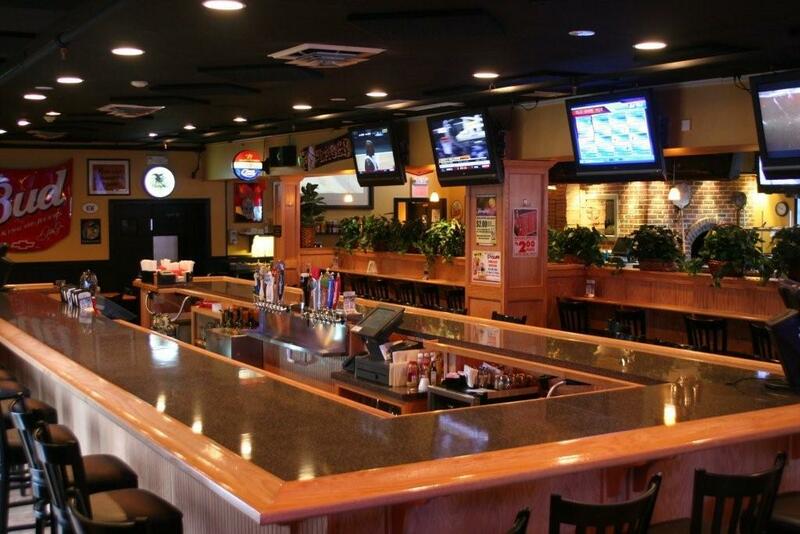 We have a unique ability to combine a great sports bar filled with Flat Screen HDTVs with a family friendly, warm, and inviting dining room. Our daily Happy Hour (with complimentary pizza), early bird menu, and daily lunch, dinner, and drink specials are just some of the reasons guests visit us 3-4 times per week or more!! Our expansive menus and drink offerings assure our guests never get bored. We have something going on every single night of the week at Fireside! We constantly look for new food and drink offerings! We aren’t complacent and you shouldn’t be either! Our kitchen is led by Bob Marella and John Parker. Both have over 25 years of kitchen experience. They work tirelessly to ensure that the highest quality of food is prepared daily. Timeliness, quality, food handling, safety, and kitchen cleanliness are top priorities for them. They constantly work to bring our guests new and innovative specials, soups, and sauces to keep things “fresh” and “interesting.” They are the cornerstone of our “scratch” kitchen concept. While we try our best to get food out quickly, our focus is on quality and fresh ingredients. We are not fast food. We are GOOD food. They are both extremely talented chefs and we are proud to have them on our team. Our General Manager is Vincent Visco, who joined us when we opened our doors in 2006. Vince works with our management team to ensure our daily operations are kept to the highest standards. Vince also handles all our in-house and off-site catering work. Together, Bob, Vince, John, and the rest of our staff have been the cornerstone of our success for over 10 years! Once again, we are in business because of YOU. We would love to hear from you! Tell us about your experience. We always strive for perfection, but we know it is impossible to achieve. We care about each and every customer that walks in our doors. We appreciate it greatly when we receive compliments, but always want to hear how we can do better. We appreciate any and all feedback! Great place to meet up with your friends or make new friends. Great food and the best drinks ever. Had a blast with great people and my girlfriend there . Had great times at friends birthdays there!! Fun place to go with friends!! !